A dental emergency can occur at any time of your life. It could occur following even the slightest trauma or it could be because of poor dental health. We can control some types of dental emergencies by seeking professional dental care regularly because most of such dental issues take months or years to develop. Only an expert eye and technology can help you figure out the possible dental problem which may be starting to appear deep inside your tooth. Apart from following good, preventive dental care it is also wise to be prepared and know about the common dental emergencies and techniques to tackle them in case one arises. This is very painful and needs immediate attention of the dentist. If the nerve of the tooth is exposed, it could hurt a lot. It is better to the see the dentist as soon as possible in order to get relieve from the pain and also save the broken tooth. If there is swelling, an anti-inflammatory medication may be taken however Aspirin must be avoided for it may cause problems in clotting once the tooth is taken out. Also check with your dentist or the emergency helpline. Ice or cold compress immediately if you suspect you have broken or dislocated your jaw. Visit the dentist as soon as possible. See the dentist as soon as possible if your tooth is loose. A quick dental checkup may save the tooth. Until you get to the dentist. Avoid touching the tooth and limit its movement. 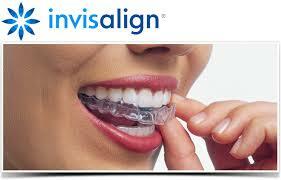 Your dentist will check if it could be saved or Dental Implant is required. This infection may develop when your molars erupt. If you experience swollen or irritated gums, bad odor in mouth and inability to open your mouth then call your dentist right away. If there is a sudden toothache, the first thing you may do is clean your mouth; floss around the tooth in order to make sure nothing is lodged in between your teeth. If not, visit the dentist and get help immediately because it may be gum infection or a tooth problem. If you knock out a tooth, clean it and remove any dirt from it. Don’t scrub it but gently rinse it. Place the tooth in a milk solution which will act as a preservative and may enhance the chances of re-implantation. Call your dentist immediately and have him gauge the success of re-implantation. These are the emergencies which may occur despite regular dental care. They call for immediate dental instructions and help in order to prevent any further damage to the Dental Crown or Braces. At Alexandra park dental practice in Woodgreen, N22, we offer dental emergencies. If you require an urgent treatment, please call us, where ever is possible we will try to accommodate you on the same day.